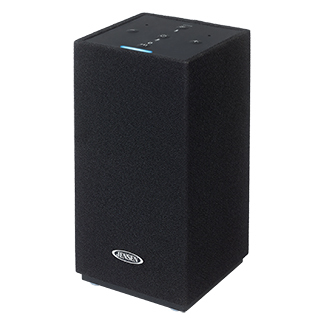 The JSB-550 is an Amazon alexa-enabled Wi-Fi/Bluetooth stereo smart speaker powered by the Alexa voice service. It Features hands-free convenience with far field voice-control to play music, provide information, news, sports scores, weather, and more… instantly. All you have to do is Ask. Far-field voice recognition allows the JSB-550 to hear you from across the room and give you hands-free voice control, even while music is playing. Just say "Alexa" and play music, control your smart home devices, get answers to questions, sets calendars, or get weather and news updates and more. 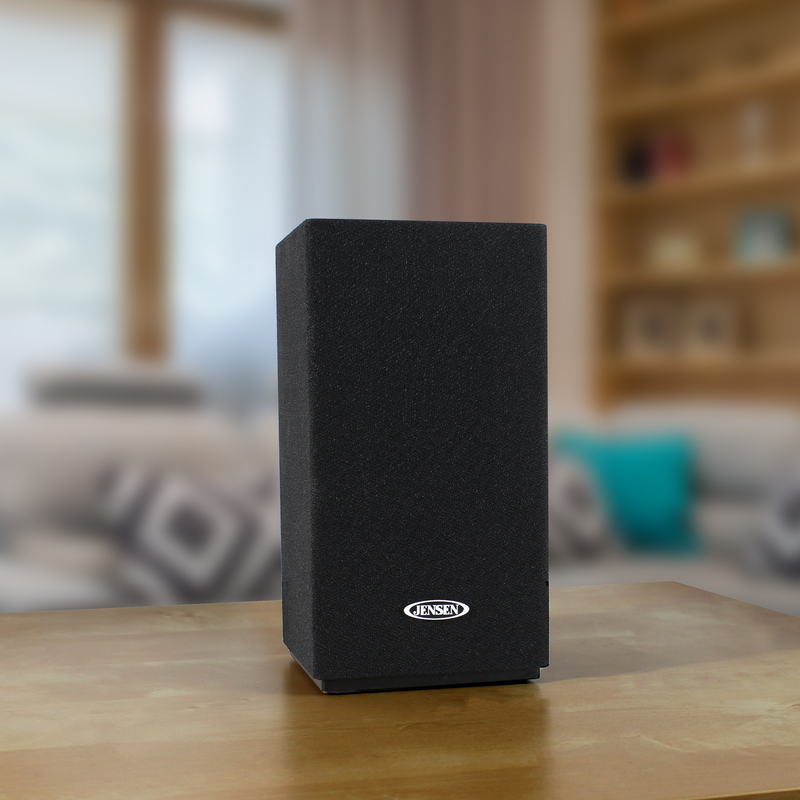 Two full range stereo speakers deliver dynamic highs and mid-range audio while dual passive radiators enhance the overall bass for a 360° room-filling sound experience. Output power is 2 x 10W RMS. 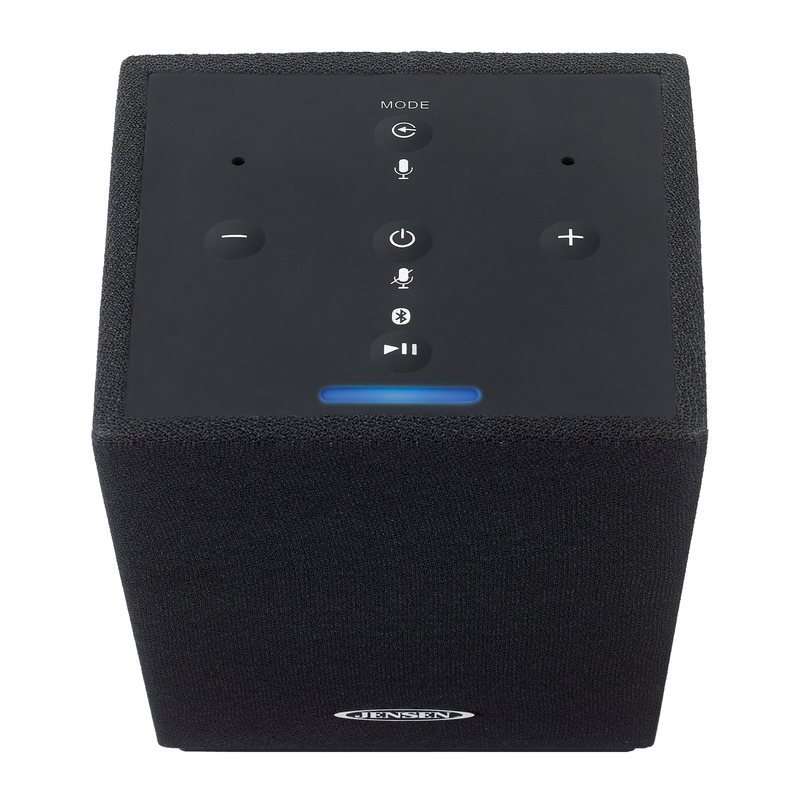 The JSB-550 is also Bluetooth-enabled so you can stream music directly from your phone or tablet, or connect directly using the auxiliary input jack with the included cord. The unit also Features rubberized top mounted control buttons and operates using the included AC Adaptor. Alexa-enabled Use Alexa to play music, provide information, news, sports scores, weather, and more - instantly, and all you have to do is ask. 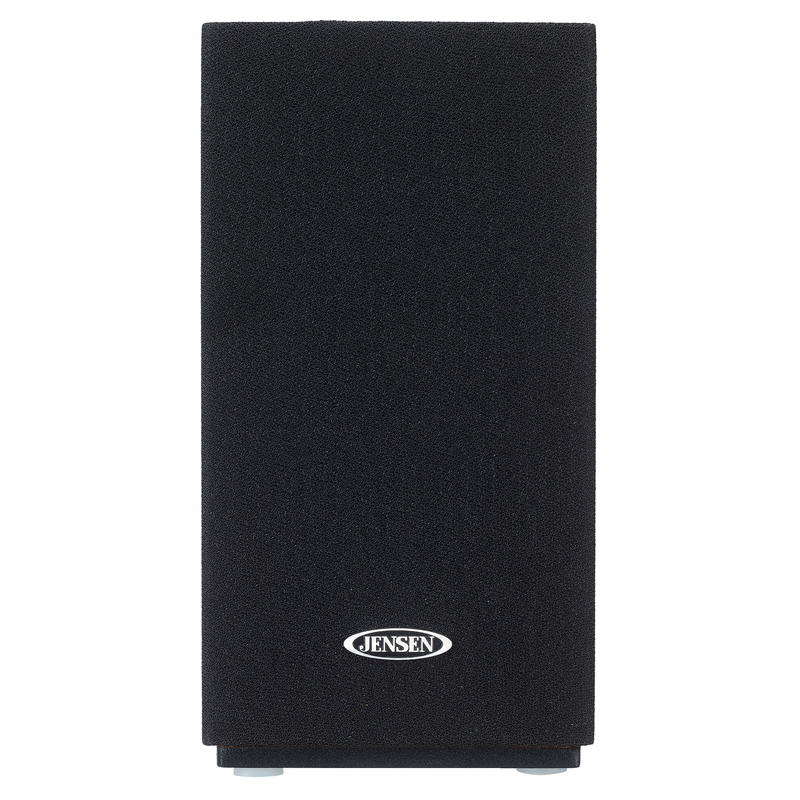 The JSB-550 hears you from across the room with fair-field voice recognition even while your music is playing. So ask away while you jam out to your favorite music on Pandora, Spotify, iHeartRadio, and TuneIn. 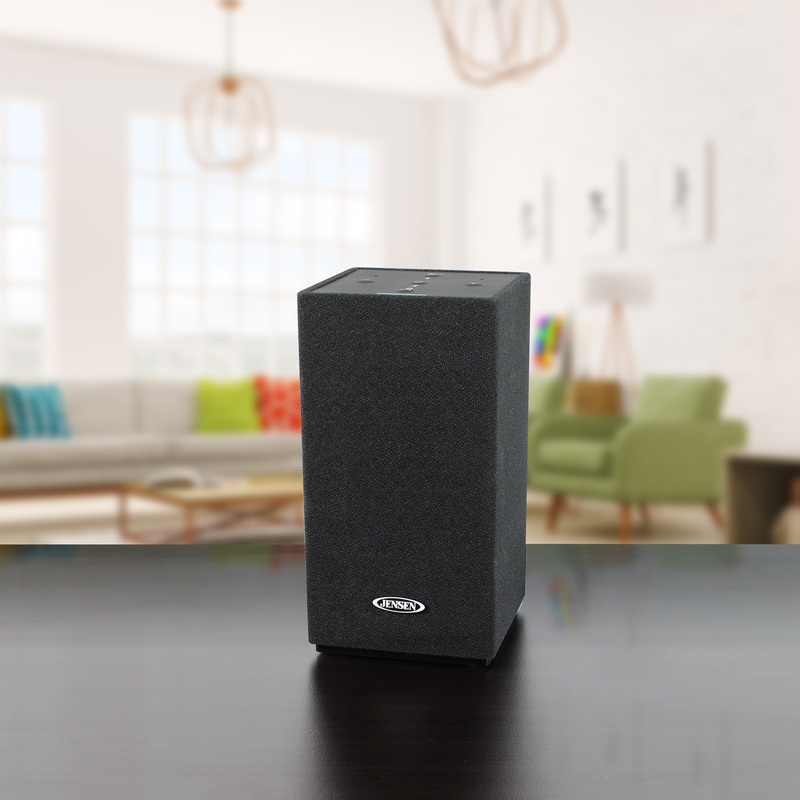 Immerse yourself in perfect sound wherever you or your speaker are in the room. With 360° Sound, you hear the best of your speaker no matter where you place it or face it. We believe the JSB-550 sounds amazing and you will too. Output: 2 x 10W RMS. Control Smart Home Devices Works with Wi-Fi smart home devices to control your lamps, timers, and more using Alexa. Bluetooth-enabled so you can stream music from your phone or tablet. Need to connect your phone, iPod, MP3 or other digital audio players? No problem.